The first album in six years from Tony Wakefield’s project sees the controversial figure with a renewed energy. His take on the neofolk genre has always been interesting, somewhere between typical Jethro Tull-esque quirk and a more experimental apocalyptical direction that’s akin to early Pink Floyd in psychedelic oddness. Wakefield himself dubs his music "a cabaret band from Hell for the fin-de-siècle" which sums it up pretty well; if The Cruellest Month proves anything to me it’s that I should listen to much more neofolk than I do. This is a rich, varied album, constructing soundscape after soundscape but never failing to write actual songs. Wakefield, of course, is part of neofolk royalty, having been a founding member of Death In June and worked with many stars of the scene. And despite that aforementioned six-year break, The Cruellest Month shows there still to be plenty of lead in this project’s pencil. With a charmingly old-school production, rather brittle and shrill at moments, Wakefield and guests (including Andrew King and Eilish McCracken) produce a set of folk songs that show the genre still has much to say, even if some of it does seem rather dated in style. Toys, for example, with lyrics like ‘Noddy he makes snuff movies, Little Bear hung himself from a tree’ will not be as shocking as intended in these modern days where Hostel 2 raised few eyebrows! Yet the deranged psychedelic dirge that is the instrumentation is strangely timeless, as is much of the album elsewhere. Opener Raining In April’s mournful violin underpins Wakefield’s rough yet heartfelt vocals well, surprisingly heavy backing clatters growing in intensity and complexity before ending abruptly, the following To Kill All King’s starting flute oddly King Crimson-like in melody. 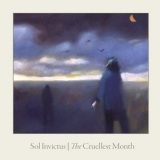 The Cruellest Month wanders, taking on folksy subjects as they arise. The Sailor’s Aria is what you’d expect, mournful singing backed with little but ships’ bells and seagulls, following into the shanty-esque Fools’ Ship. This kind of natural ebb and flow to the album helps lull you into a relaxed listen in a way few bands can manage, a fierce intelligence evident in even the tracklisting. The aforementioned Toys, for example, is followed by Edward, a chamber music-y ode to an absent child, and then by The Bad Luck Bird’s flutey lilt. What really matters in the end, however, is that songs have enough of the infectious eccentric charm that makes the best folk music as good as it is. Take for example April Rain, starting with acoustic lushness akin to something from the soundtrack to Deadwood, and alone being proof enough that this is a fine album that more than warrants the attention of those interested in folk and its variances.